This post is part of the Recognizing our Authors series. 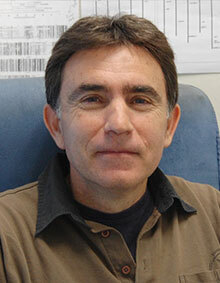 Pedro L. Rodriguez is a staff scientist with the Spanish Research Council (CSIC). He received his PhD in biochemistry and molecular biology from the Autonoma University of Madrid and carried out postdoctoral work at the ETH Zurich and TU Munich. Pedro’s research has focused on abscisic acid biosynthesis and signaling. He is group leader of a team at Instituto de Biologia Molecular y Celular de Plantas (IBMCP), Valencia, Spain. This institute is located at the campus of the Technical University of Valencia, where he also collaborates in postgraduate teaching. His research is currently focused on the role played by PYR/PYL/RCAR ABA receptors, protein phosphatases type 2C, and SnRK2 kinases as regulators of ABA signaling, with emphasis on the biotechnological potential of the pathway to improve plant tolerance to drought. His group has identified and characterized key genes involved in the ABA biosynthetic and signal transduction pathways. Zhixiang Chen was recently recognized by Thomson Reuters as one of the world’s most influential scientific minds in 2014. He earned his MS in plant genetics and breeding from Cornell University and his PhD in biochemistry and molecular biology from the University of Nebraska–Lincoln in 1990. 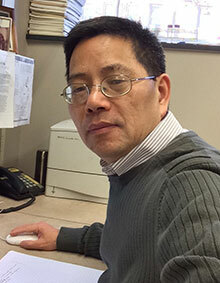 Currently, Zhixiang is a professor in the Department of Botany and Plant Pathology, Purdue University, and an adjunct professor with the College of Agriculture and Biotechnology at Zhejiang University in China. His area of expertise is the molecular and cellular basis of plant responses to biotic and abiotic stresses. Earlier research in his laboratory focused on the role of salicylic acid, WRKY transcription factors, and RNA silencing in signal transduction and regulation of gene expression during plant defense against microbial pathogens. More recent research has expanded to the role of vesicle trafficking, including autophagy and multivesicular bodies in broad plant stress responses. Rossana Henriques, is a career track fellow at the Centre for Research in Agricultural Genomics in Barcelona. 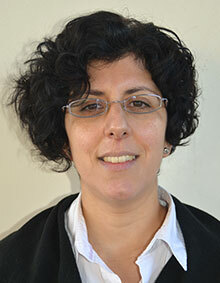 She was recently awarded a Ramon y Cajal Tenure Track contract as well as a Career Integration Grant. She is interested in the circadian regulation of growth signaling pathways as well as the identification and characterization of circadian-regulated long non-coding RNAs. Rossana was a research associate and postdoctoral fellow at Rockefeller University’s Laboratory of Plant Molecular Biology in New York, where she focused on posttranslational regulation within the light signaling pathway and the circadian clock. She also worked as postdoctoral fellow at Royal Holloway, University of London, on the signaling pathways connecting cell growth and cell division in Arabidopsis. Rossana earned her MSc in biology from the Universidade de Coimbra and her PhD in molecular biology from the Universidade de Lisboa in collaboration with the Max Planck Institute for Plant Breeding Research in Cologne. Read more by downloading the full PDF here.